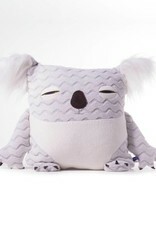 Beautiful koala cushion, made by Velvet Moustache! 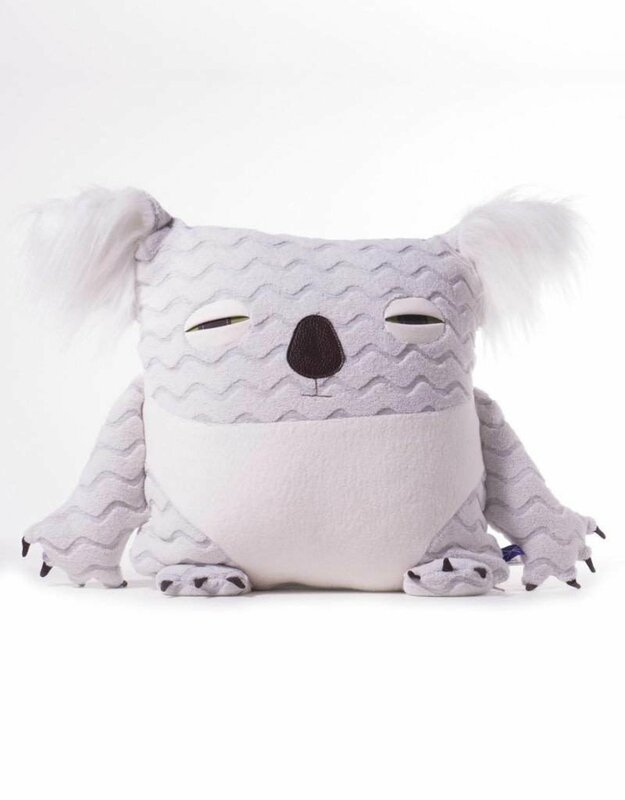 The wave-textured fabric used to make this plushy is a knit blend of organic cotton, bamboo, and recycled polyester, making it a one-of-a-kind material, made in the Mile End neighbourhood right here in Montréal. Other details include a sherpa belly, faux fur ears, a leatherette appliqué nose and jersey eyes. This plushy is particularly labour intensive, since we have to hand cut the faux fur ear pieces and hand sew on each of his 14 clawed toes.